Morris was released by the Texans, Aaron Wilson of the Houston Chronicle reports. Analysis: Morris was the fourth quarterback on the depth chart and was deemed superfluous after the Texans signed placekicker Nick Rose. With starting kicker Ka'imi Fairbairn nursing a minor injury that could prevent him from participating in this week's preseason matchup against the 49ers on Saturday, Rose was signed and a roster spot was needed. Morris has previous stints with Washington, Seattle, Philadelphia and Jacksonville, though he's yet to appear in a regular-season game. Morris was claimed off waivers Monday by the Texans, Ian Rapoport of NFL Network reports. Analysis: Morris was waived by the Seahawks three days ago after spending a month under contract with the team. 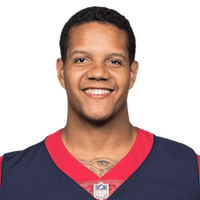 With Brandon Weeden and Joe Webb the only quarterbacks on the Texans' roster behind Deshaun Watson, Morris should have a legitimate shot at competing for a backup job this offseason. Morris was waived by the Seahawks on Friday, Field Yates of ESPN reports. Analysis: Morris' release came just under a month after he was signed by Seattle. If he goes unclaimed in the waiver process he'll become a free agent able to sign with any team. Morris is signing with Seattle, NFL.com's Ian Rapoport reports. Analysis: Released by Indianapolis earlier in the week, Morris didn't take long to find a new home. He'll be the only quarterback behind Russell Wilson on the depth chart, though Seattle figures to address that situation in the coming weeks, considering Morris went undrafted in 2014 and has yet to take a snap in an NFL regular-season game. His best-case scenario is a shot to compete for the backup job during training camp. The Redskins waived Morris on Monday, Ian Rapoport of NFL Network reports. Analysis: A 2014 undrafted free agent, Morris has spent time with the Eagles, Colts and Redskins, but he's yet to appear in a regular-season game. His long-shot odds to make the final roster in Washington took a hit when the team traded for Kevin Hogan on Friday. Morris will look to catch on elsewhere, merely hoping for a shot to compete for a No. 3 quarterback job. Morris signed a reserve/future contract with the Redskins on Tuesday. Analysis: Morris still hasn't played in a NFL game since entering the league in 2014, but with the possibility of Kirk Cousins hitting the road, he may have a chance to make a Week 1 roster in 2017. The Redskins are likely just bringing him in for depth without much of a chance at becoming a starter. There are no videos available for Stephen Morris. Click here to view all videos.